When we think of ancient Egypt, we often think of the most iconic aspects of their culture, such as the pyramids, but many people don’t know that Egypt has a far more ancient history, which is sadly unprotected by authorities. 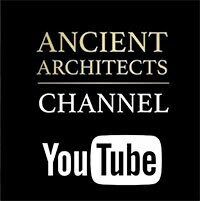 I am talking about a specific outcrop of ancient rock art in Western Egypt that is thought to be up to 12,000 years old, and clearly shows glimpses of the origins of dynastic Egyptian history. Not many people know of its existence, but the specific rock face is covered in pre-dynastic imagery, but because the site is not protected by authorities, it has been scrawled over with modern graffiti and, if this is allowed to continue, soon the most ancient of ancient Egyptian history will be lost forever. The petroglyphs show the earliest depictions of pharaonic dress… There are dogs or jackals, which could be linked to the origins of The Sphinx, which many believe was originally a representation of Anubis, the jackal god. And finally, there is an amazing depiction of the Hathorian cow, an image that became so iconic in later Egyptian religion and culture. The art was created at a time when precipitation in Egypt was limited and fell periodically, which meant the conditions in Western Egypt was only sufficient enough to support small animals and cattle, as well as the roaming tribes. Pre-dynastic belief systems often centred on cattle cults linked to the River Nile. The cow was seen as the mother of the sun, they were thought to be earthly representations of the gods, due to their huge importance to civilisation. This ideology would endure and the cattle cults would lead to the creation of a central figure, known as the goddess Hathor, the primeval goddess from whom all others were derived. Cattle and pastoralism was widespread in the Sahara for several thousand years before Dynastic Egypt. There is further evidence of this at Gilf Kebir, which translates to "large plateau", another pre-dynastic Egyptian ceremonial centre. In the 'Cave of Swimmers', made famous in the movie The English Patient, there are yet more examples of cattle in rock art, hundreds of kilometres away from the first location. Were the so-called nomadic tribes that were spread throughout Egypt all connected and did they share a belief system that would influence the later dynastic culture? The evidence certainly suggests so. From the very ancient rock paintings, we next travel to Nabta Playa. Discovered in 1974, this little-known pre-dynastic site has, on appearance, more in common with the stone circles of Britain than the grand ancient Egyptian stone structures. Like the British stone structures, the stones of Nabta Playa are certainly not primitive monuments and show us that the predynastic Egyptians had a wealth of knowledge including advanced astronomy. Nabta Playa is a ceremonial site with stone formations arranged to observe the sky. Stones have been found to mark the solstices and constellations such as Orion and the Big Dipper, but the real enigma lies below the ground. The largest central stone monument has been excavated and below the surface, under 10 feet of sediments, they found a megalithic sculpture, known as the cow stone. It may have a vague look of a cow but most believe it has astronomical significance. Beneath the cow, under yet more sediment they found another sculpture, carved out of the bedrock. Astrophysicist, Dr Thomas G. Brophy, has researched the site in great detail and believes that the bedrock sculpture is a made-to-map scale of the Milky Way galaxy. The map correctly indicates the position, scale and orientation of our sun, the placements of the spiral arms, the galactic centre, and even the associated sagitarious dwarf galaxy that was only discovered in 1994. Furthermore, Brophy noticed that one of the stones in the stone circle points to the galactic centre in 17,700 BC, which matched the date that corresponds to the orientation of the galactic centre on the bedrock carving. Brophy believes that the stone sculpture is a map of the Milky Way from the standpoint of the northern galactic pole. With the amount of sediment that had accumulated on top of the stone carving, this date of 17,700 BC is certainly possible for its creation. Whether or not his interpretation is correct is open to debate, but the story of Nabta Playa certainly began in extreme antiquity. First the bedrock sculpture was carved and sediment filled it in over thousands of years. 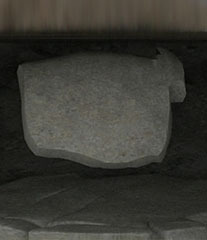 Then the cow stone was carved and placed there, and then sediment filled it in again. So, that’s three sub-surface layers of sediment, all beneath the main central stone circle, which was the final phase of work. 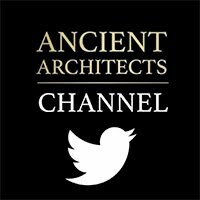 The stones of the main calendar circle have been computer modelled and match constellations at two specific points in history – in 4,800 BC and 6,270 BC. These two dates also match the radiocarbon dates of campfires around the circle. The site is thought to be a ritual site, not a settlement – a sacred place where people would come at certain times of the year for ceremony and possible animal sacrifice, as we find interred cattle in the area. The stone monoliths, and the sub-surface sediments are on the whole undisturbed and relatively unobserved, but there are many thousands of years of Egyptian history at Nabta Playa, estimated to be far older than Gobekli Tepe, and they certainly need investigating. It is assumed by historians, including myself, that dynastic Egyptian culture was hugely influenced by Mesopotamia, but the full story is far more complex, as shown by the indigenous pre-dynastic culture of Western Egypt. Nabta Playa hasn’t been lived in since 3,800 BCE and its people must have migrated towards the Nile as conditions became hyper arid. After 3,800 BC, ancient Egyptian population centres were located close to the Nile, and were a mixture of people with differing cultural backgrounds, but Nabta Playa could well be the original source of the dynastic civilisation. There was certainly a Mesopotamian influence, which in places was dominant, but thanks to the rock art of Western Egypt and the enigmatic standing stones of Nabta Playa, the origins of dynastic Egypt can be traced back through the land for many thousands of years.